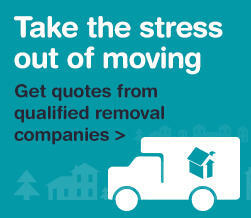 We all know that when it comes to moving home it can be a very stressful time. That’s why at B.S. Bennett we aim to take that stress away from you by offering exceptional service and advice. We often go above the call of duty to make sure that our clients have the peace of mind that their property is in the best possible hands. Bauer Group has built commercial property portfolios since 1994. From acquisition, development, management, and funding through to disposal we cover all aspects of commercial property. Our unique experience in Switzerland enables investors access to this market with the peace of mind of RICS based management methods. Contact us to discuss your requirements. SELLING YOUR PROPERTY As it is probably your most valuable asset, when it comes to selling your property or home, a local agent with considerable local knowledge and experience is essential. As such, we are fully committed to providing you with a top quality service and ensuring that things move along as swiftly and smoothly as possible. We provide our service at competitive commission rates, and on a no sale no fee basis. Beverley Williams & Associates are an individual firm of Estate Agents offering a personal service on all property matters. Breckenridge Lettings Ltd is an Independent Letting and Property Management Agent based in the popular village of Sunninghill in Berkshire. Specialising solely in lettings, with an in house property management department, we cover the prestigious and popular areas of Ascot, Sunningdale, Sunninghill, Virginia Water, Englefield Green, Windlesham and local surrounding areas within the Berkshire and Surrey Counties.